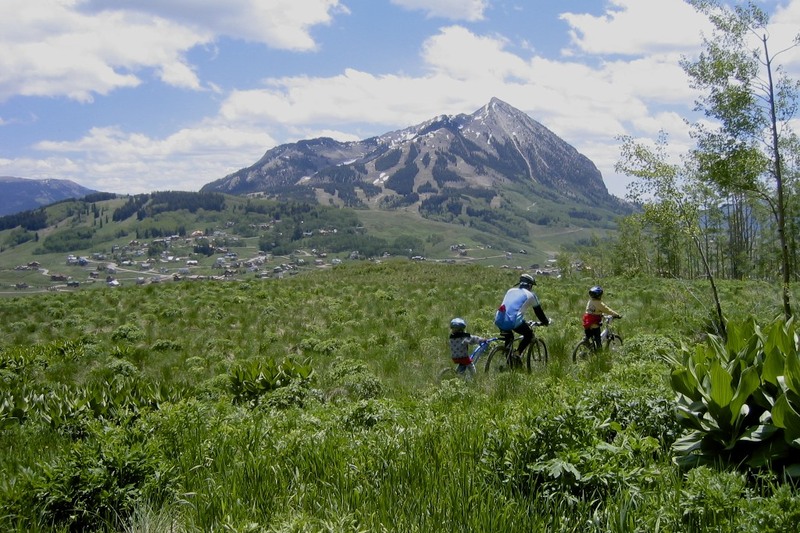 Crested Butte is a quaint, historic mining town turned tourist/recreation town, located in SW Colorado north of Gunnison and west of Aspen. It is situated at the end of a high mountain valley that drains the East, Slate and Coal Creek rivers into the Upper Gunnison watershed. It is surrounded by the West Elk, Ragged, Snowmass-Maroon Bell and Fossil Ridge Wilderness Areas. The alpine beauty is unrivaled! The locals are fun-loving, community oriented and protective of open space and native habitats. Creative community events abound! The Chainless Race, 4th of July, Vinotok, Red Lady Ball, Big Air on Elk, Al Johnson Race and Flauschink are a few events that bring out local color, costumes and Joie de Vive in Paradise!